My Cluttered Corner: First ScrapTiffany Challenge of 2010! First ScrapTiffany Challenge of 2010! Is it really already January 4th? Yikes, if the rest of the month goes this fast it will be February before we know it! I think February is my favorite time of year in Arizona. The days start getting longer and the days are warm and sunny while the nights are still cool. Anyway, it is Monday and you know what that means....the first official ScrapTiffany challenge with the new Design Team has been posted. 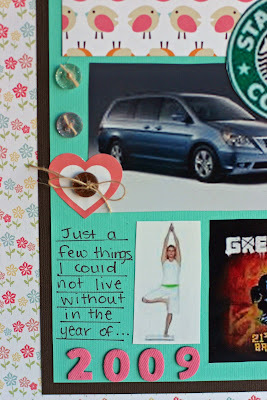 The challenge was to scrap about, "I couldnt live without..." I chose to do a 2009 year in review of some of the things I couldnt live without (other than family and friends of course!!). 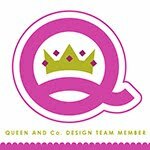 Go on over to ScrapTiffany and check out all the new designers and their takes on this fun challenge. And if you take the challenge be sure to email it to Tiffany before Friday. And keep coming back each Monday--this is going to be a term of fun challenges, there is a new forum to chat on, a blog hop and other fun surprises. We would love to see you there. fun challenge and great way to do a year in review! Great challenge and I love your layout!!! What a really fun way to showcase 2009! 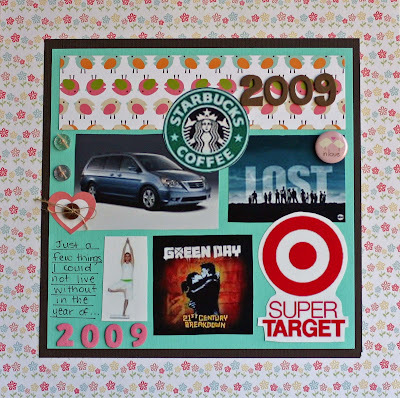 What a neat page... love that you used your favorite must haves of 2009! Hope you have a wonderful 2010, Rebecca!